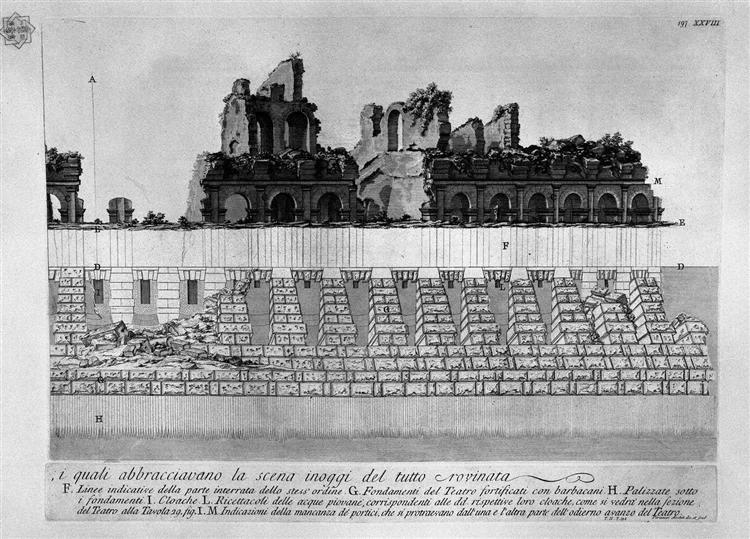 The Roman antiquities, t. Plan of the Baths of Diocletian, 1756 by Giovanni Battista Piranesi. 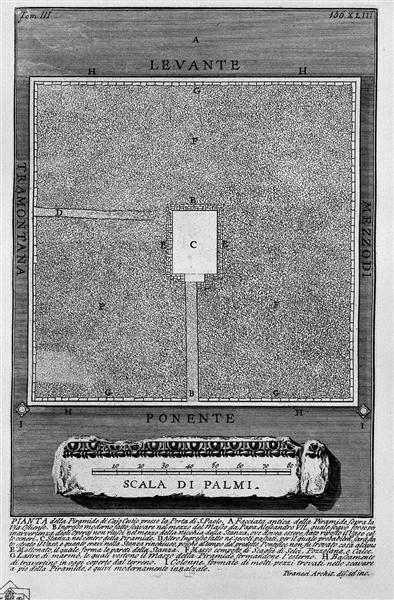 Plan of the Mausoleum of Caecilia Metella, wife of the Triumvir Marcus Crassus..., from Le Antichità Romane (Roman Antiquities), tome 3, tavola 49. 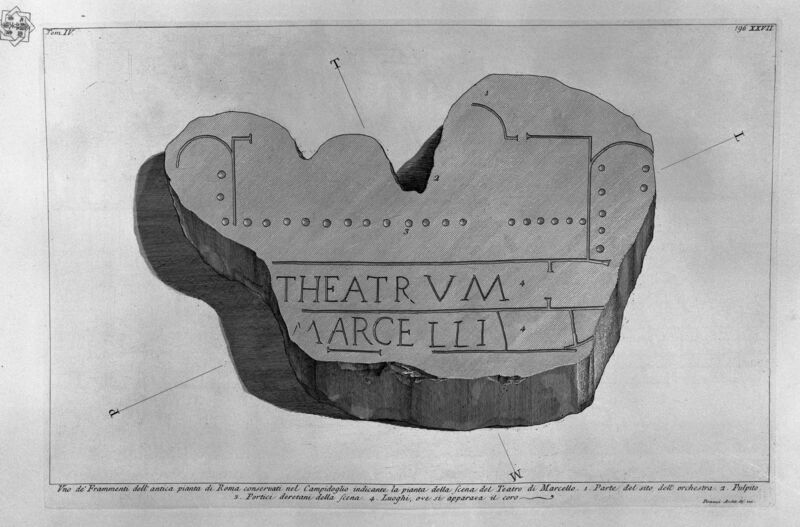 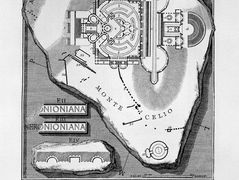 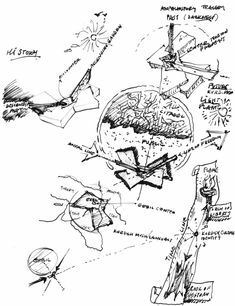 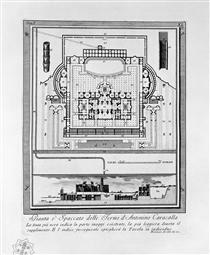 Captions; Plan of the Mausoleum of Caecilia Metella, wife of the Triumvir Marcus Crassus. 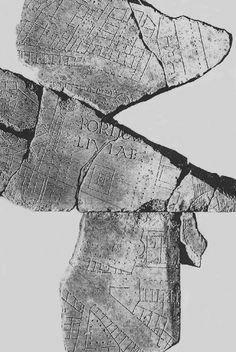 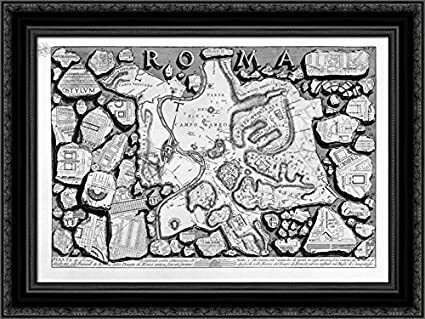 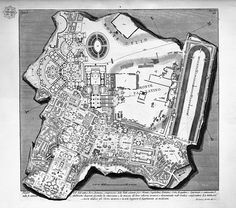 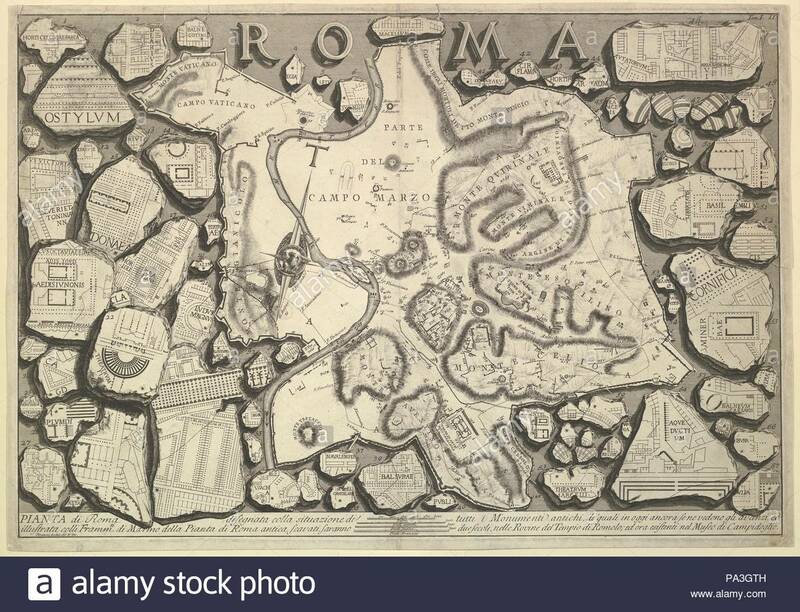 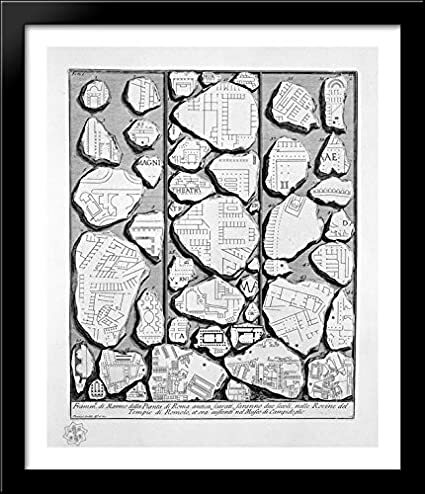 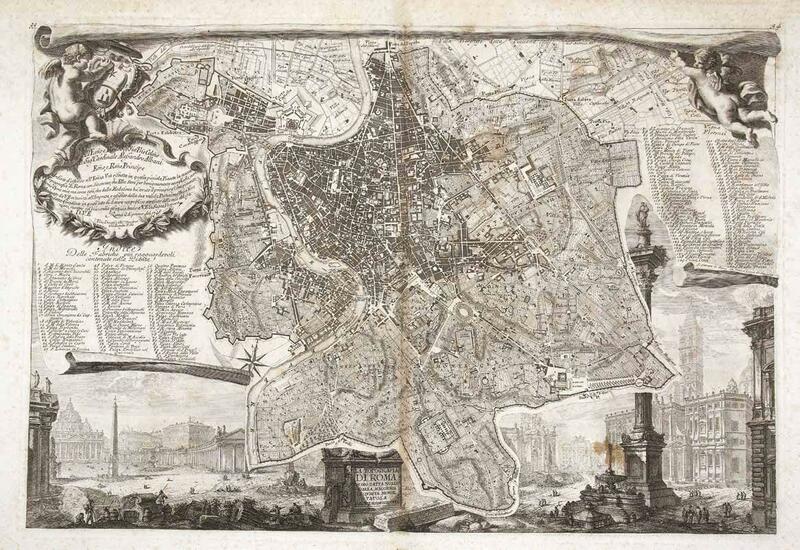 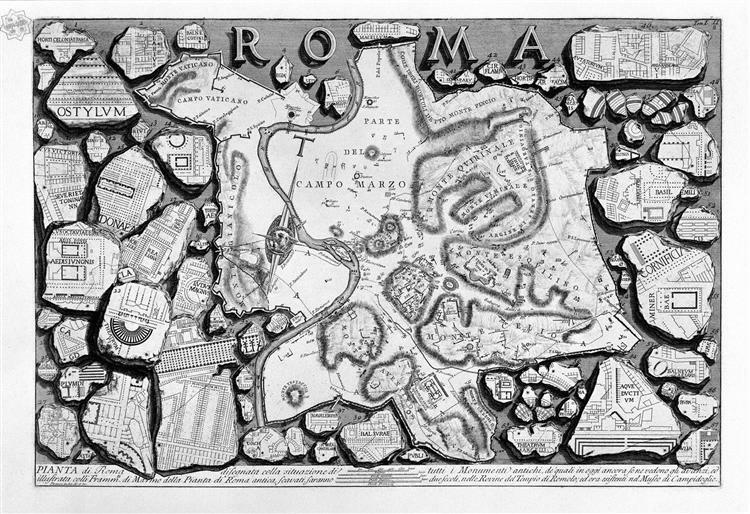 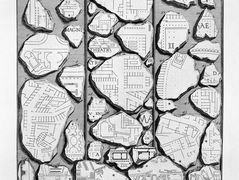 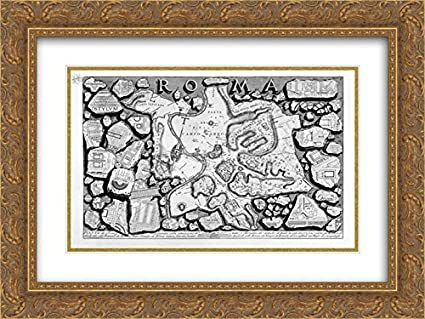 The Roman antiquities, t. Map of ancient Rome and Forma Urbis. 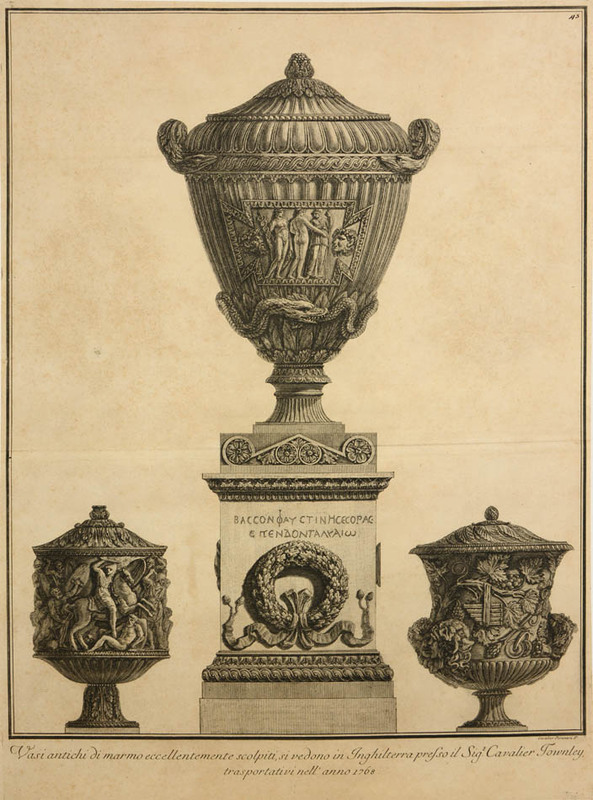 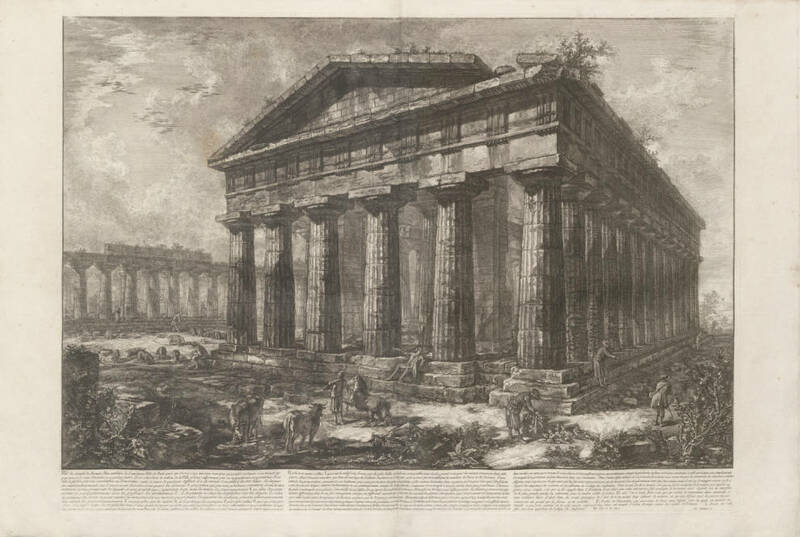 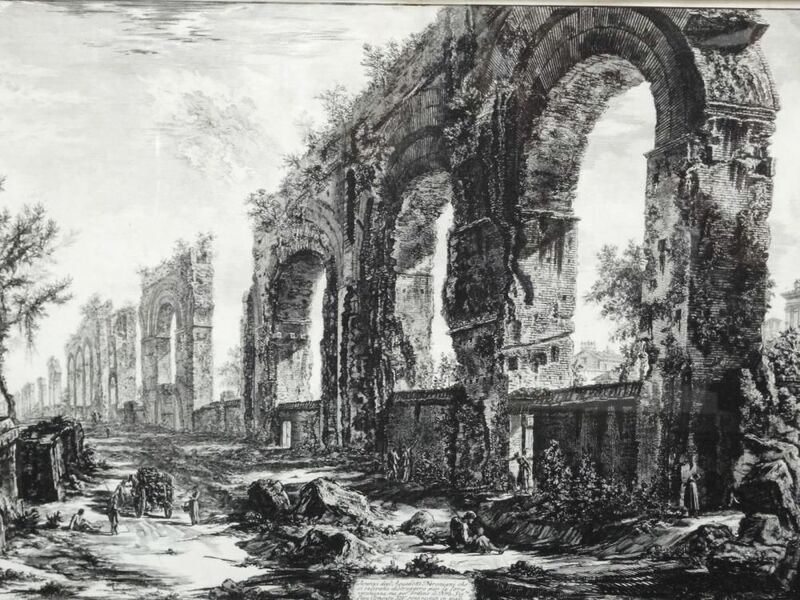 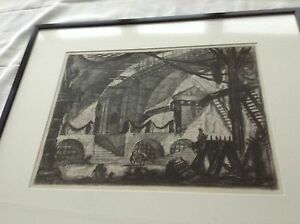 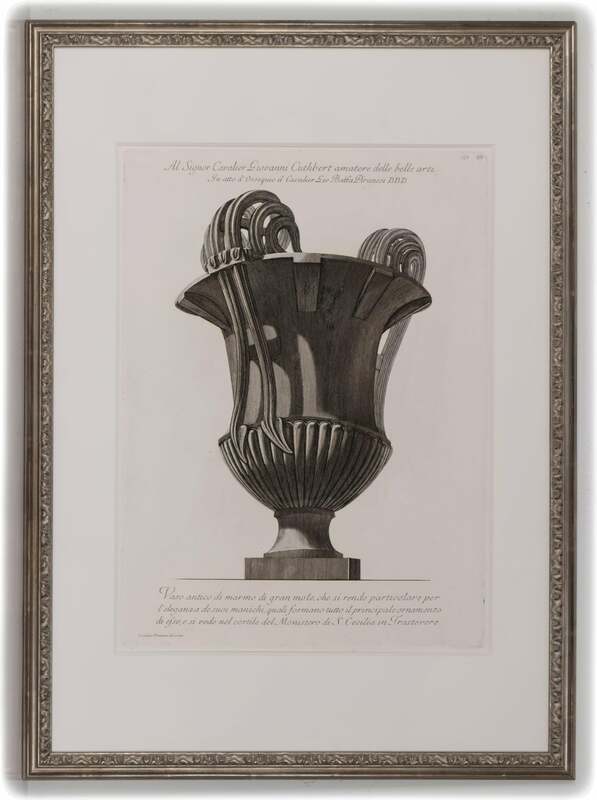 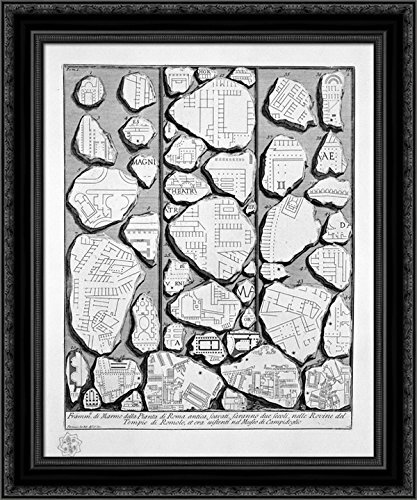 Plate from: G.B.Piranesi Roman Antiquities (1st vol. 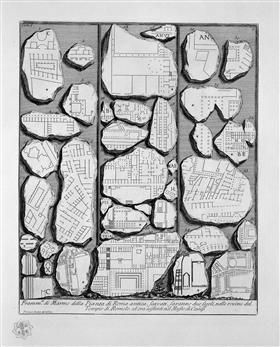 ), 1756. 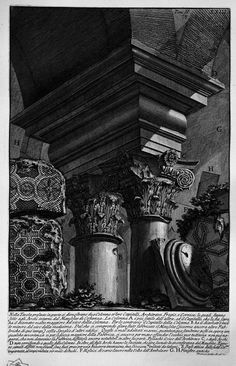 Plate from: G.B.Piranesi, Roman Antiquities (1st vol. 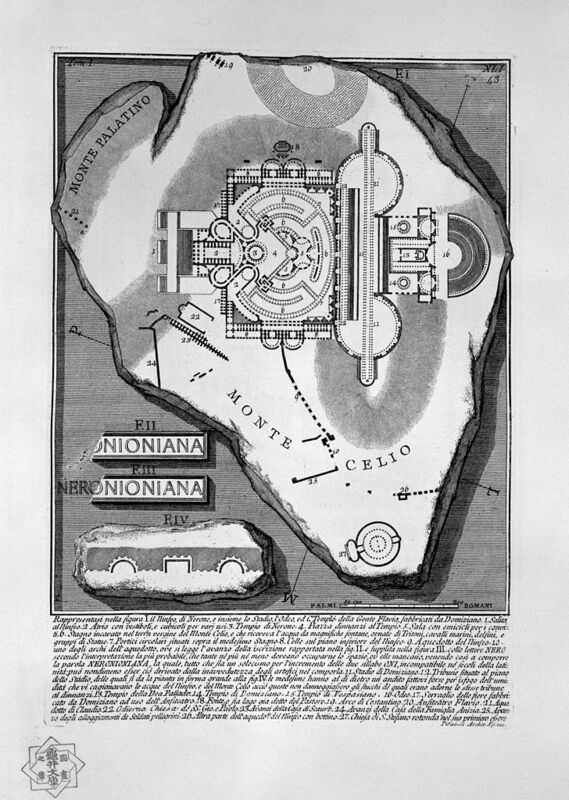 ), 1756. 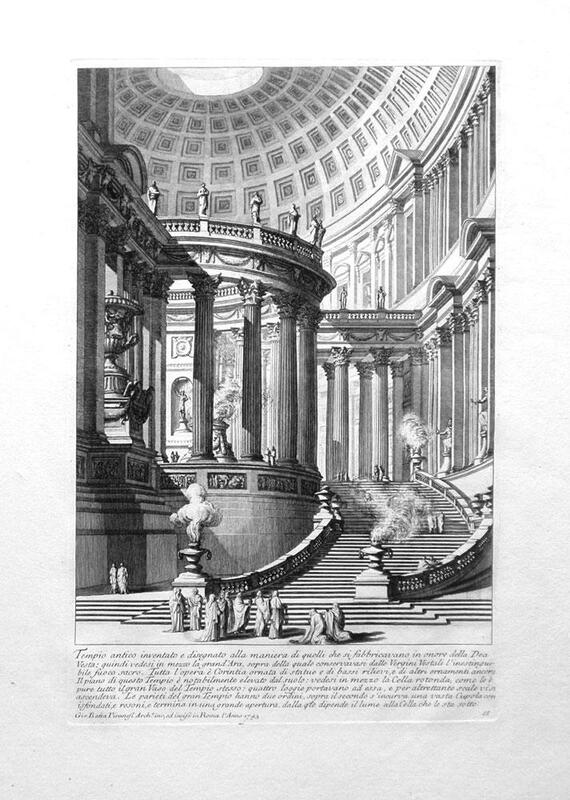 The Roman antiquities, t. 1, Plate XIII. 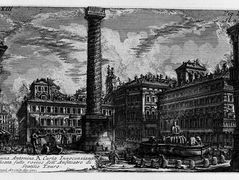 Column of Marcus Aurelius. 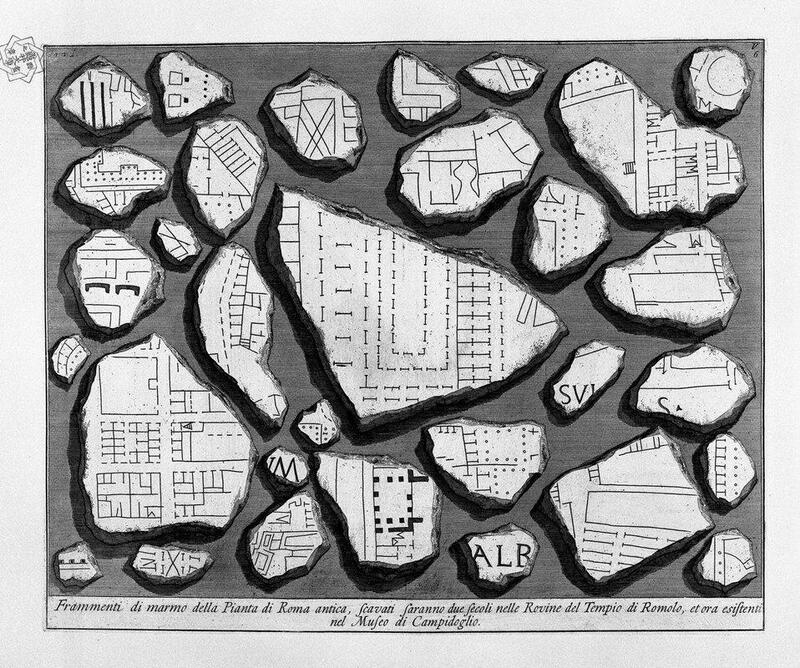 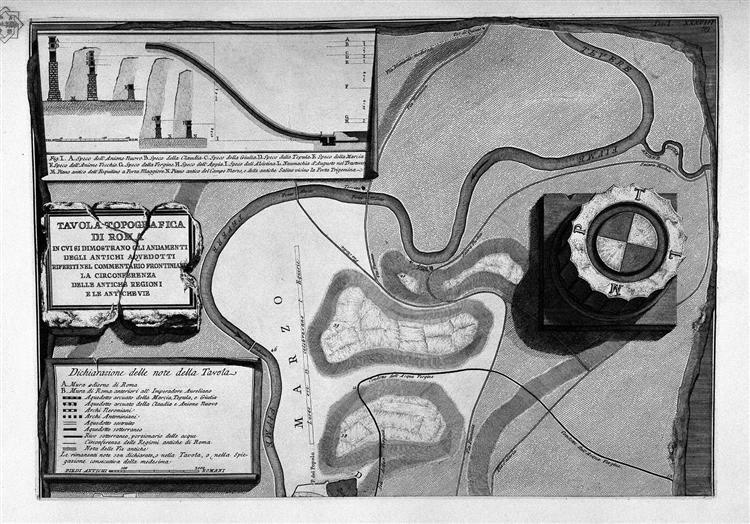 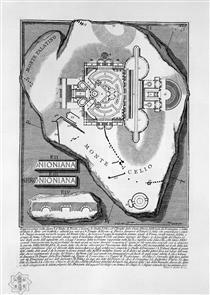 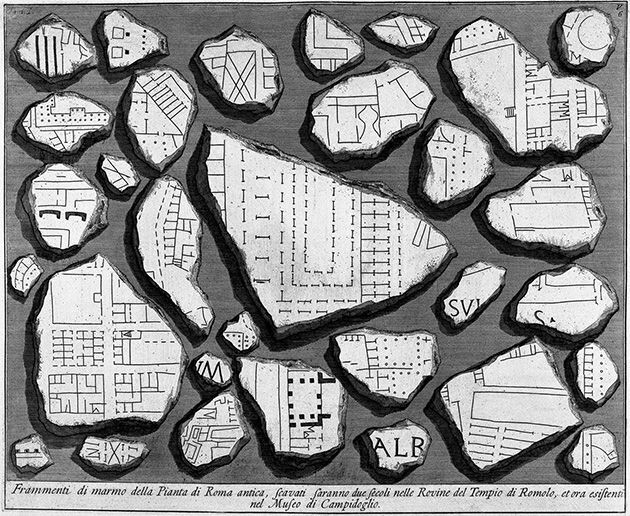 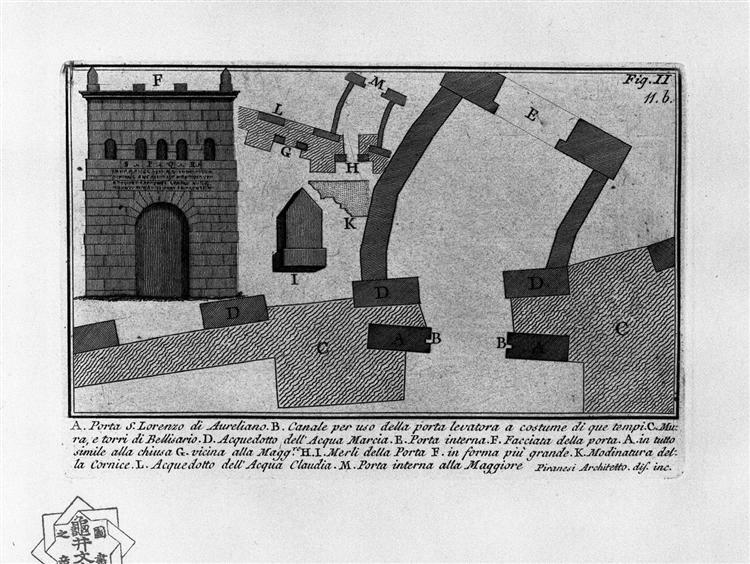 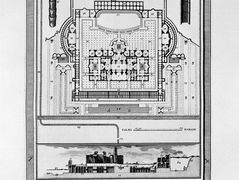 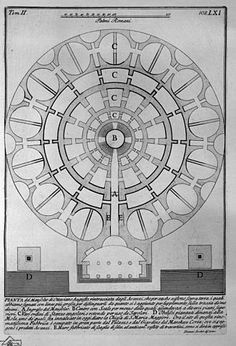 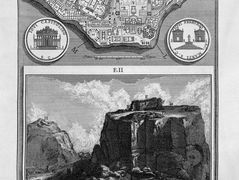 The Roman antiquities, t. Plan of the Mausoleum of Augustus. 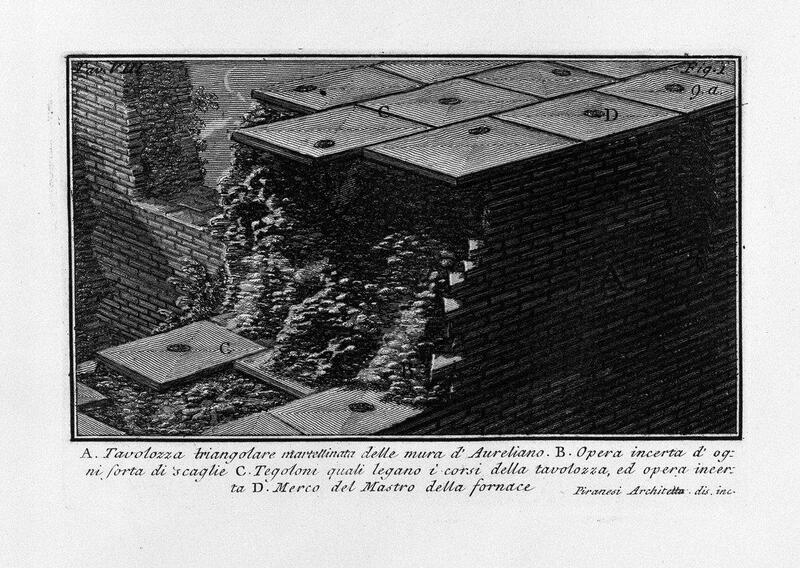 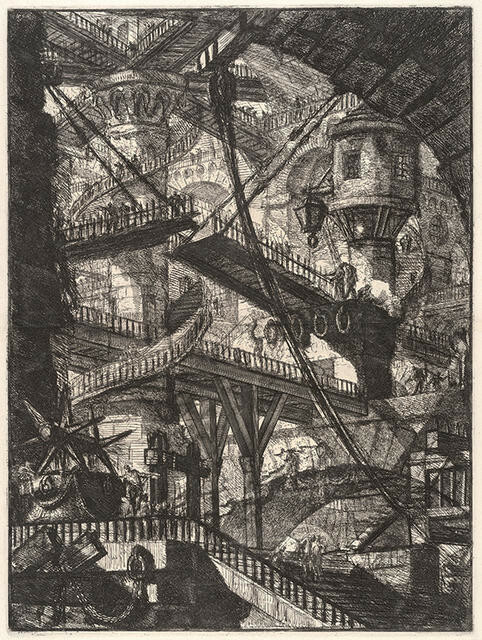 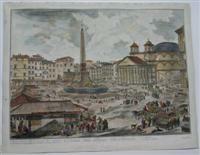 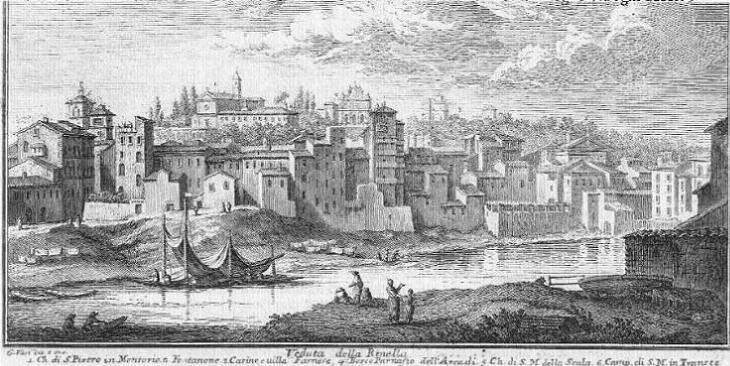 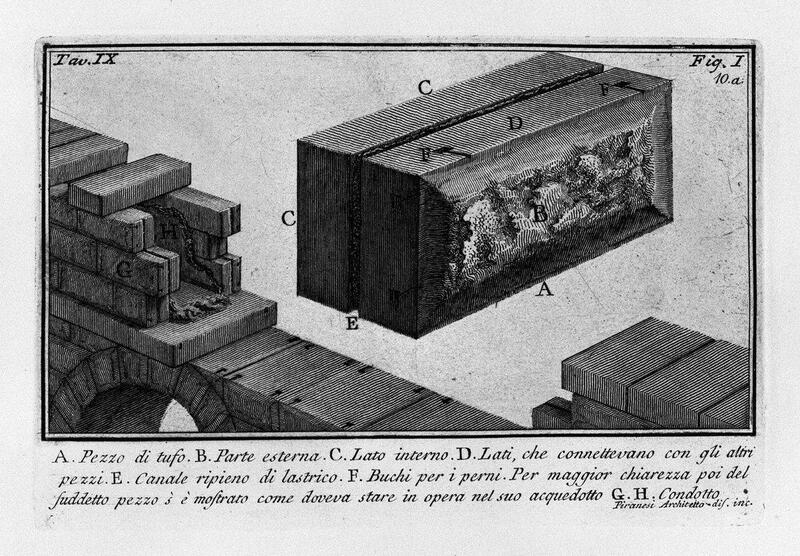 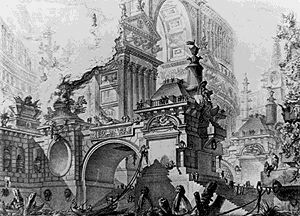 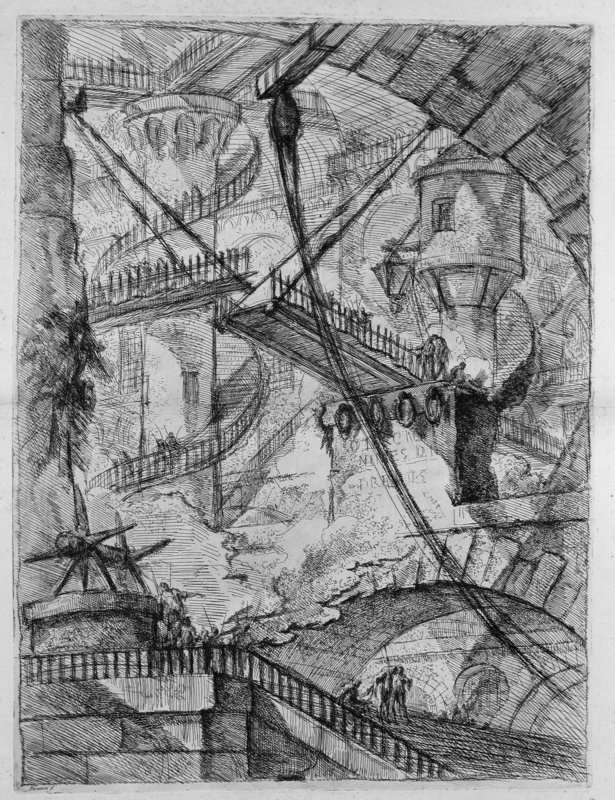 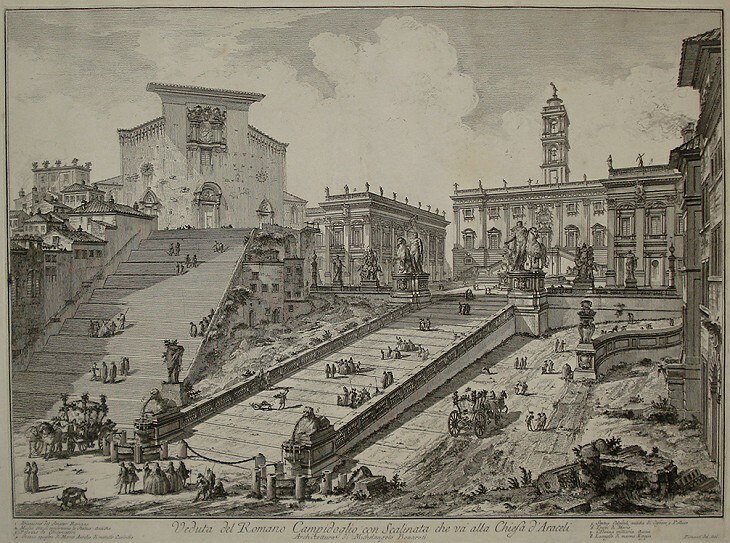 by Giovanni Battista Piranesi. 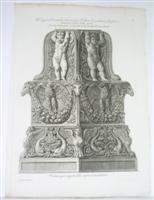 The Roman antiquities, t. 1, Plate XLV. 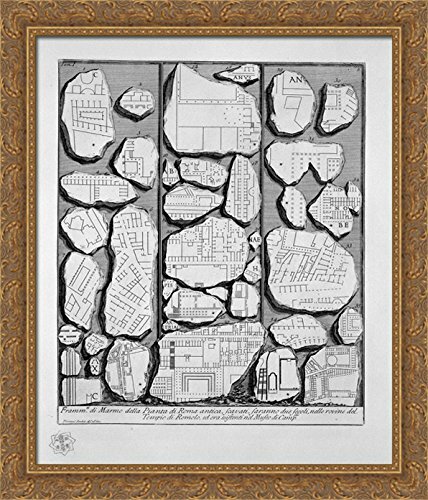 The Roman antiquities, t. 1, Plate XLVI. 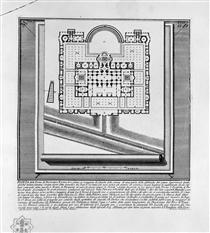 Plan of the lower part of the `Palace of the Caesars believed the Baths Palatine (Drawing and inc. 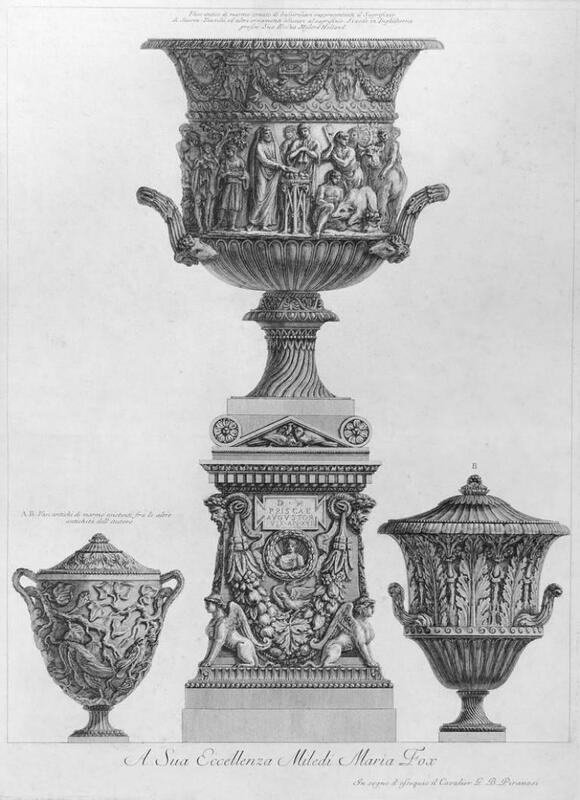 The Roman antiquities, t. 1, Plate XLII. 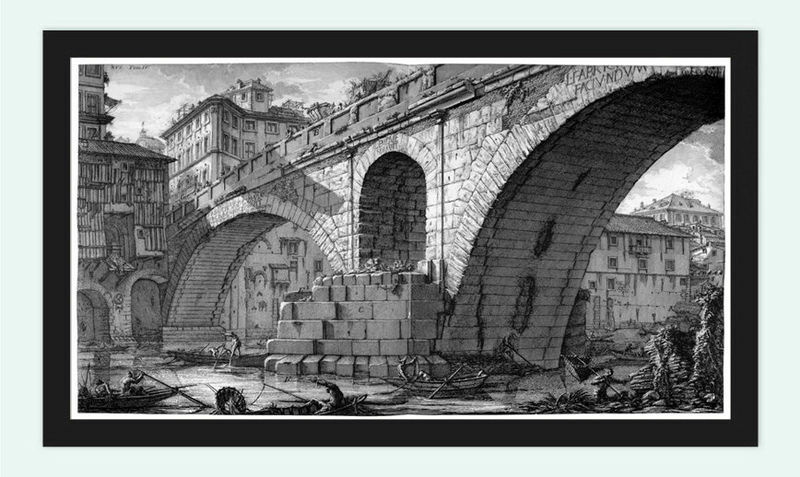 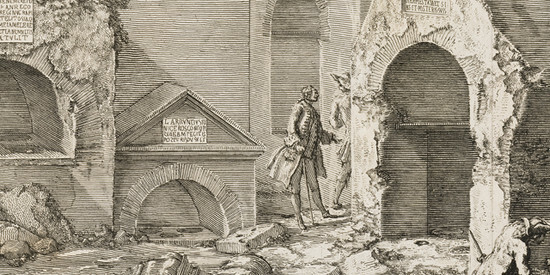 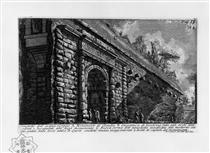 Piranesi, Carceri Plate XI – The Arch with a shell ornament. 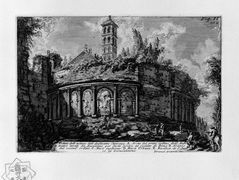 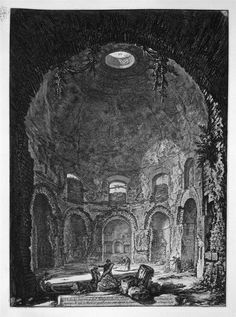 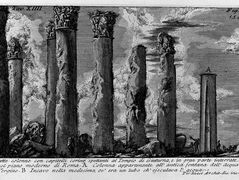 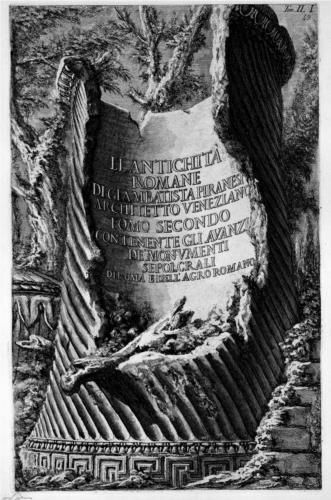 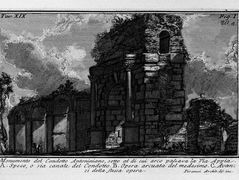 The Roman antiquities, t. Remains of the great building burial added to the Mausoleum of Constance., 1756 by Giovanni Battista Piranesi.